Proteins of the C2, C4, D2, and D4 symmetry point groups are below with operations of the characteristic symmetry elements of the point groups. 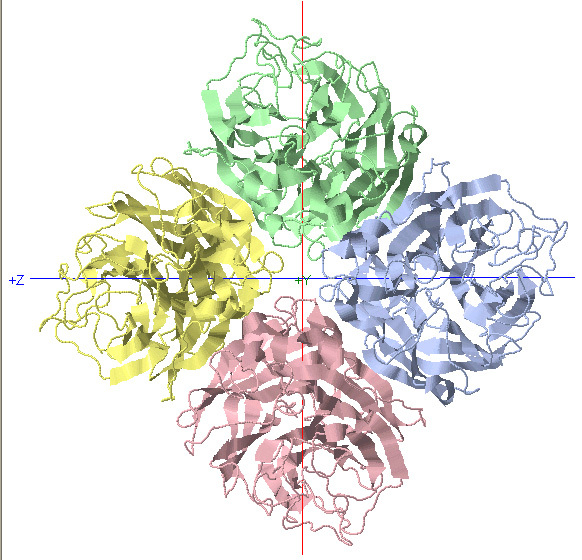 The subunits of the proteins are color coded so the change in orientation is clearly observed. cyclic (Cn) - contain one single Cn rotation axis. In this point group note that the n in Cn is equal to the number of monomers and the angle of rotation is 360o/n..
dihedral (Dn) - These have mutually perpendicular rotation axes. Specifically they contain at least 1 C2 axis perpendicular to a Cn axis (Canter and Schimmel. 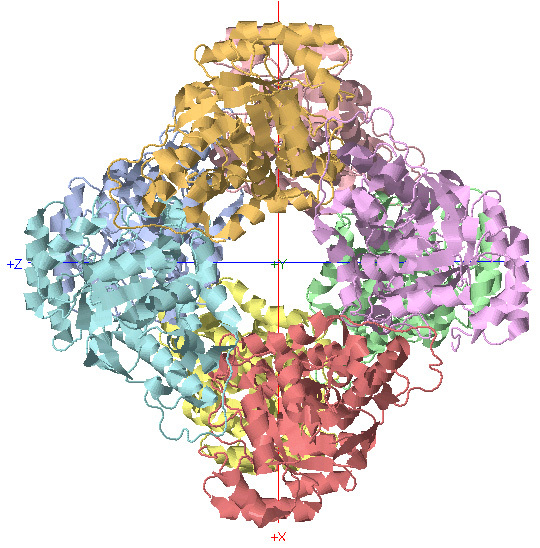 Biophysical Chemistry - Part 1). 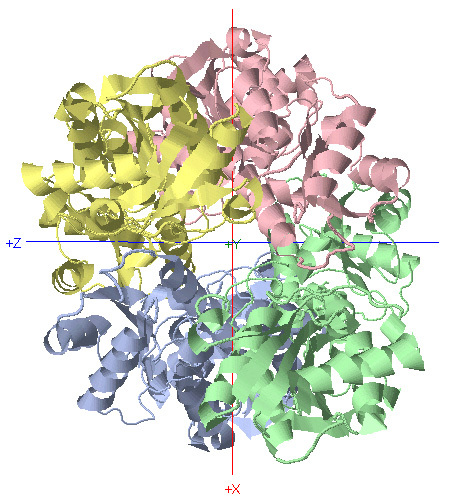 The minimal number of subunits is n. Most protein oligomers fall into this category. 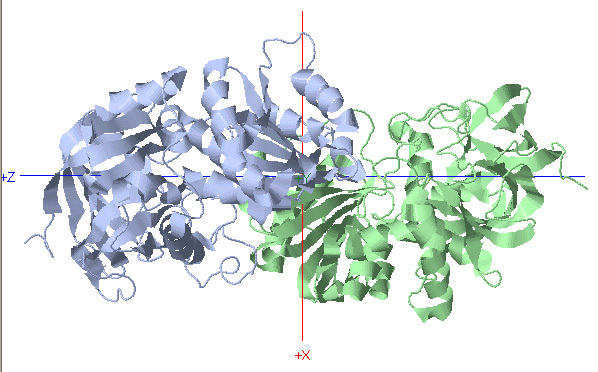 Click on the symmetry element button below to see each individual protein undergo the symmetry operation and compare the rotated protein on the left to the fixed orientation on the right. Note: The Jmol command used to carry out the rotations also rotate the axes. We are working to fix this problem so the superpositions can be better visualized.